The eighth graders finished their study of minerals at the beginning of this quarter. They completed an interesting lab during which they used physical and chemical characteristics to identify a group of minerals. Eighth graders learned about the law of conservation of matter as they saw how all three types of rocks are related, interconnected, and can become other rocks through the process called the rock cycle. The kids examined rocks and determined that rocks differ from minerals because they are solid mixtures of organic or inorganic matter, not pure inorganic solids. As part of their study the children were challenged to identify 16 different igneous rocks by grouping the rocks by mineral size and mineral make up. 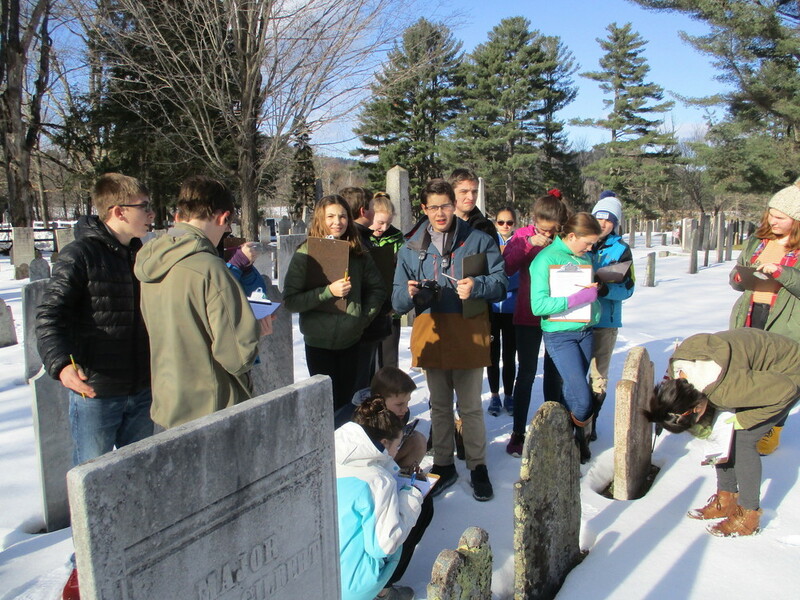 We took a field trip to the cemetery across from the town green to study the characteristics of the metamorphic rocks and igneous rocks that are used in memorials and examined the characteristics of these rocks. The eighth graders took a close look at sedimentary rocks during a lab in which they learned to identify the rocks through observing the presence or absence of fossils, the size and make-up of sediments, and the presence or absence of chemicals with an acid test. Following the rocks chapter test, the children learned about the energy and mineral resources that are extracted from the earth. They modeled the consumption of energy resources by randomly drawing “renewable” and “non-renewable” “energy beans” from bags in an activity called Renew-A-Bean. At the end of the quarter, the children assembled windmills that were driven by fans. They measured the efficiency of different blade angles for each of the windmills through measuring the number of pennies the windmill could lift.